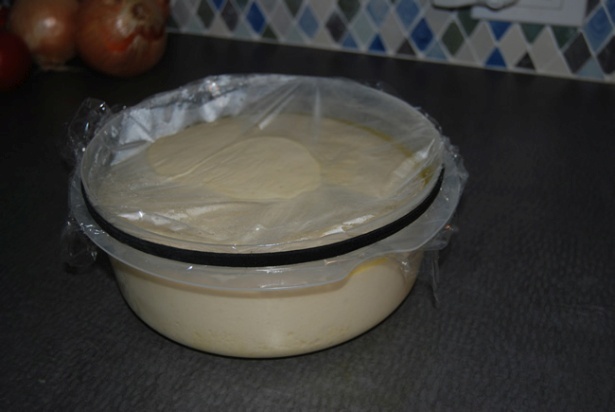 I know I probably sent you here from another recipe promising a pizza dough recipe on this page, but the reality is that pizza dough making is a philosophy and there isn't just one magic recipe that will solve all your pizza needs. 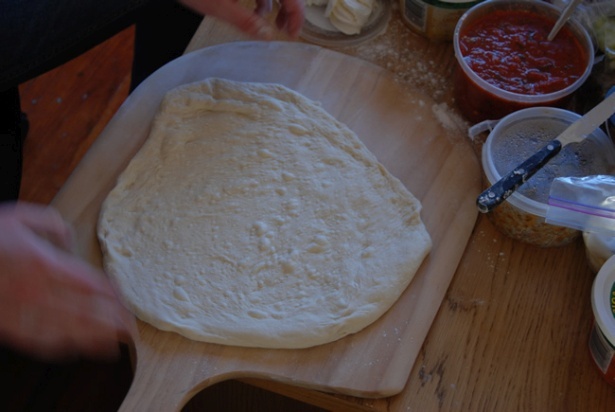 I make pizza dough a little different almost every time I make it, and I decide how to make it based on how much time I have between now and pizza time, the cooking environment, and the situation where the pizza will be eaten. The time you have may seem obvious but it is a little more tricky than just time. Sometimes I have a pizza emergency and I only have a couple hours. This is the least amount of time needed to make a decent dough. Sometimes I might have a few days warning but am really busy during that time, so I would consider a no-knead recipe where I can just throw flour, water, and yeast together and let time work it’s magic. Are you having a pizza party for 40 people? 10 people? A nice dinner with 4 friends? Pizza night with the family? A drunken feast at 3am with your girlfriend? This matters when thinking about your dough. I find that the more people I am feeding the less I want to worry about my dough, so I go with a safer recipe that will be easy to shape even if your friend wants to try and make their own. Here are some pictures of a few different doughs, and then some links and more advice at the bottom. This is my standard dough after it has risen overnight in the fridge. It’s a little on the wetter side, but it is still manageable. You can’t always get it round, but it is really tasty and you can see how many bubbles have formed. This is the no-knead dough recipe after it has risen. You can see that it is really really wet. You can even pour it out! You incorporate a bit more flour into it after the rise and before you cook, but it is still pretty wet. 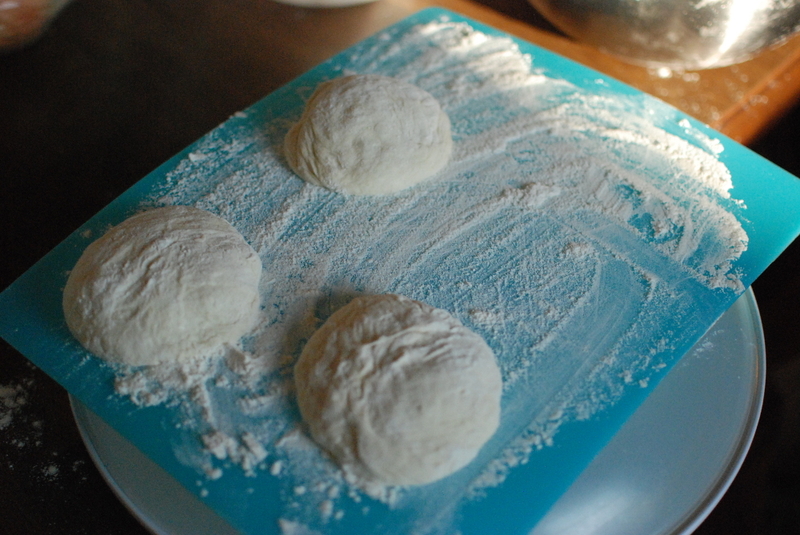 No matter what dough recipe you make, I find it easiest to make them into pizza sized rounds all at once while they are waiting to be formed and cooked. The best foolproof beginners dough recipe that I have found is from 101 cookbooks. I consider this recipe to be the perfect starting point for anyone, and a great building block for getting into more serious pizza making. The other end of the pizza dough making spectrum is the Jeff Varasano recipe described in great length and detail here. The no-knead recipe from Jim Lahey is posted here on Serious Eats. And here is my current favorite pizza dough recipe that combines my favorite elements from the other recipes. This can work with a short or long ferment. Mix the water with half of the flour and half of the yeast in a large bowl. Mix with the handle of a wooden spoon. If you have time to let this ferment for a few days this mixture should be very cold, but if you are looking for pizza in the next few hours, room temperature is fine. Add in the rest of the flour, along with the yeast and salt. Remove from the bowl and start kneading. Knead the dough for 15 minutes, adding a little more flour if it seems too sticky. Brush some olive oil into a bowl and add your dough. Brush more oil on top. Pop it into the fridge and let it ferment for a day or two, or up to 5 days. OR leave it on the counter until it doubles in size. 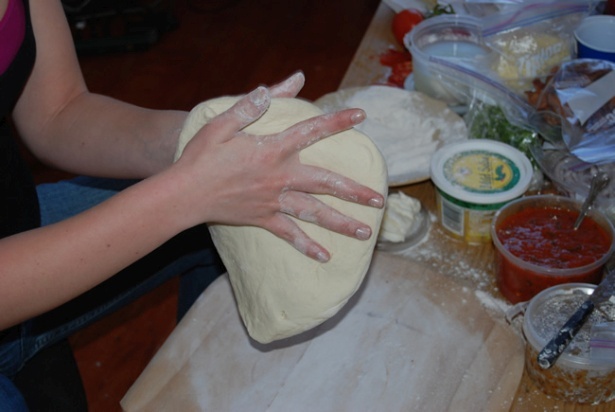 Break into pizza sized dough rounds and cover them until you are ready to use.